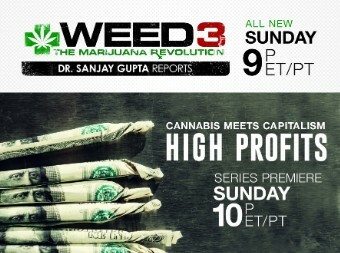 Hey, stoners! Boost your high with ... falafel? Looking for the perfect "stoner" food that's healthy and could boost your high? In one word: falafel. 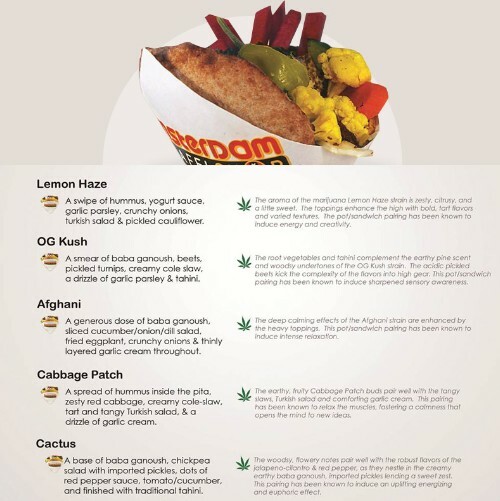 Washington D.C.- based Amsterdam Falafelshop has crafted a custom "pot-pairing" menu to enhance the high that marijuana smokers get from five popular weed strains. It launched last week and has already created a buzz with locals and those on social media, said Arianne Bennett, who owns the franchise with her husband Scott. "We were very busy when we debuted it," said Bennett, noting that the line spilled out of the main shop in Adams Morgan and down the street. Bennett, who's not shy to admit she smokes pot herself, said the menu's purpose is twofold: "It's an homage to 4/20 [pot's unofficial weed holiday], and it's our way of supporting the legalization of recreational marijuana in D.C."
Starting in February, D.C. residents over 21 can possess, grow and smoke recreational marijuana, albeit with restrictions. 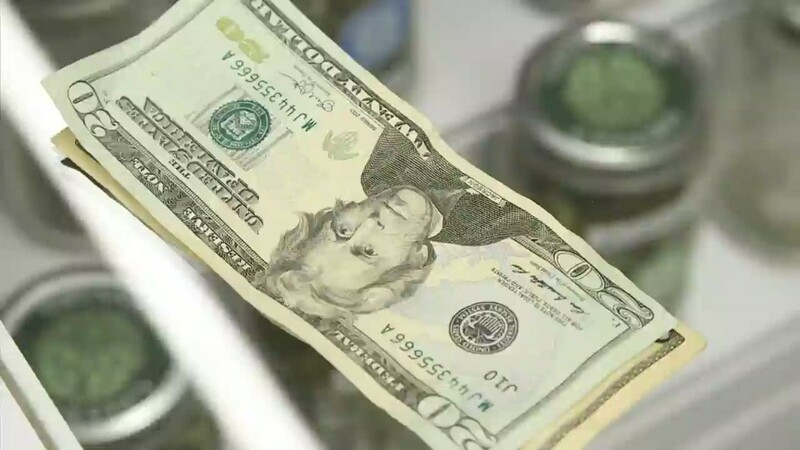 The new law limits the quantity people can possess and prohibits selling marijuana in the D.C. limits. It also prohibits pot usage in public. Amsterdam Falafelshop's pot-pairing idea was born at a dinner party celebrating D.C.'s new law. "Instead of raising a glass to celebrate, we thought why not raise a joint?" said Bennett. So when someone suggested that Bennett create a pot-pairing menu, she jumped on it. The Bennetts researched the popular strains and customized a list of falafel toppings to complement the flavors. "All this happened in a night," she said. Three of Amsterdam Falafelshop's seven locations will offer the pairings (which are priced, naturally, at $4.20). For example, enjoy a swipe of hummus, yogurt sauce, garlic parsley, crunchy onions if you've smoked Lemon Haze; or top your falafel with baba ganoush, beets, pickled turnips and tahini if you're high on OG Kush. "The baba ganoush enhances the earthy flavor of OG Kush," Bennett said. Sibhat Hagos works down the street in Adams Morgan. He's thrilled with the menu. "I smoke pot and I've been arrested for it," said Hagos, who has tried all of the pot-pairings. "They've clearly put a lot of thought into it." Bennett said she hopes to continue the menu for a while. "I'm not sure if we're getting a sales boost," said Bennett. "More than anything, it's a way for us as business owners to participate in this evolving social-cultural change in our society."